These Kavalactone 30% Capsules contain a powerful kavalactone extract to help you relax all day long. It is the same kavalactone extract as in our Kavalactone 33% Powder. Perfect for people on the go who don’t have time to prepare traditional kava drinks. 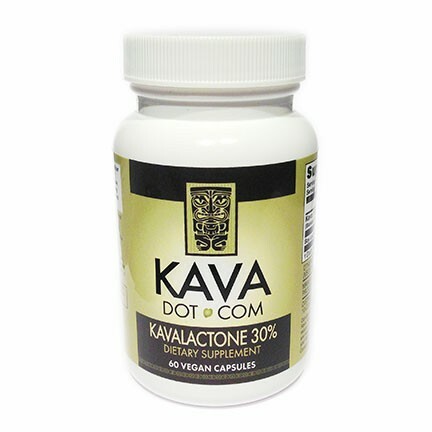 These Kavalactone 30% capsules have a verified 30% minimum Kavalactone extract, expertly blended with soy lecithin to help your system absorb the Kavalactones contained in the capsule. 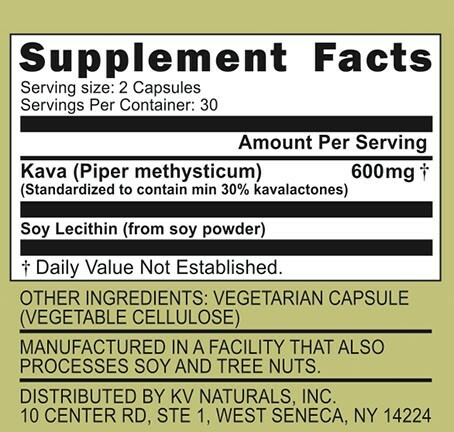 Each 300mg capsule has 240mg of 30% Kavalactone, with 60mg of organic soy lecithin, in a completely vegan capsule. Two capsules give you about 145mg of Kavalactone, for 1/2 of the daily recommended dose reliably, capsule to capsule. After many years of patience, we couldn’t be more proud of our Premium Kava variety, lovingly grown on the islands of Vanuatu. These capsules are crafted from the coveted Noble Vanuatu variety. Our Kava has a very specific “happy” chemotype that could only have dreamed of seeing in a Kava root. * All Kava is not created equal! These 30% Kavalactone Capsules are a favorite for several different reasons. Everyone is well aware of the anxiety-reducing and stress-melting effects of Kava Kava. Concentrated into an extract, it becomes even more effective at easing your stress. Kava is also used by a number of our customers for lower back pain, as well as an effective sleep aid. For me, Kava doesn’t make me sleepy, but it really helps me get a great night’s sleep. Directions: 2 capsules, twice per day. Do not exceed 4 capsules a day. Maximum period of daily use: 3 months. Use may resume for 3 months after a 2-week break. I wanted to come off Zoloft, but I needed something for anxiety and OCD. I tried the KAVADOTCOM Kavalactone 30%. and it works great! Under my doctor’s supervision, I stepped away from the Zoloft and replaced it with the kava, and I am soooo happy. The worst side effect of Zoloft was that it kills the libido; kava not only restores it, but seems to make it better. I am about to place my third order. Thanks!!! Its great to hear that you were able to replace your prescription medication with kava. It sounds like you did everything right, especially consulting your doctor before getting off Zoloft. Thanks for reviewing! Wishing you a happy and healthy New Year!